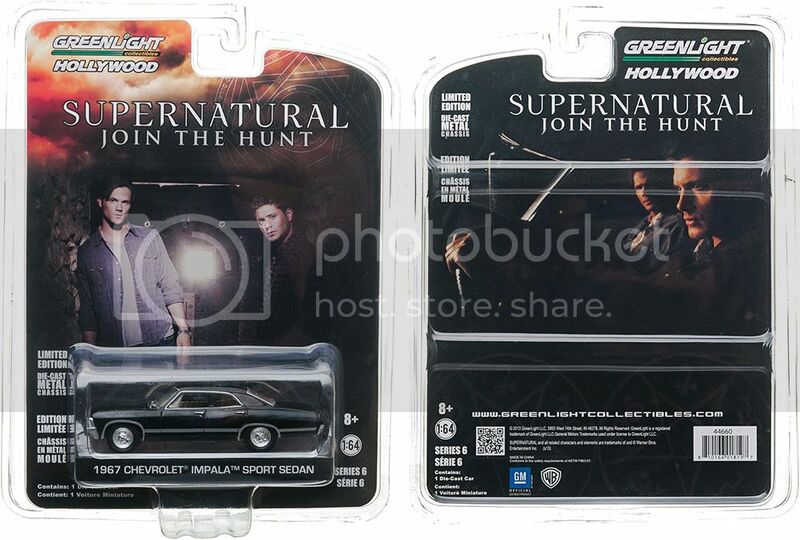 Indianapolis, IN (October 2014) – Hot Topic will be carrying part of Greenlight’s Hollywood Series during this Holiday Season. 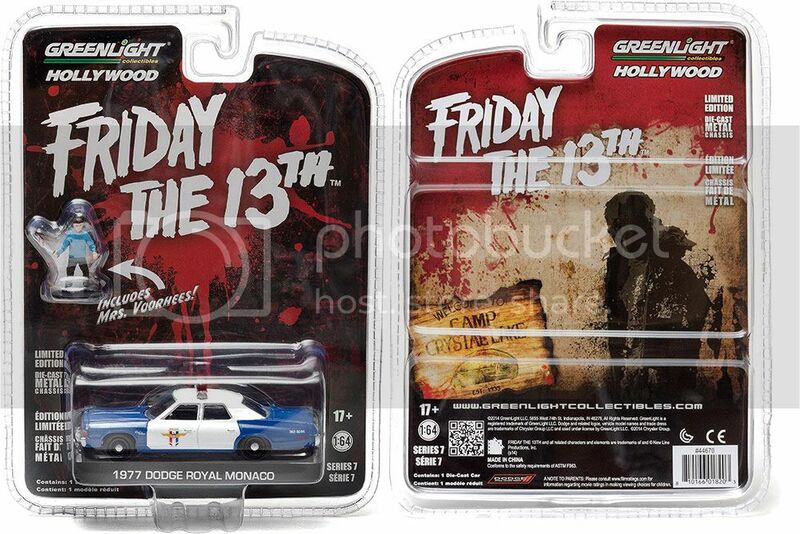 Both in 1:64 scale, Hot Topic will have the Supernatural Impala and Friday the 13th Dodge Royal Monaco. Find a store near you to purchase your favorite die-cast! GreenLight Collectibles is a premier manufacturer and marketer of authentic die-cast vehicle replicas and other automotive-related products. GreenLight replicas are produced under various themes in 1:18, 1:24, 1:43 and 1:64 scales and are officially licensed by the world’s premier automotive and entertainment companies, including General Motors, Ford Motor Company, Chrysler Group LLC, Volkswagon AG, Honda Motor Co., Nissan North America, Airstream, Fleetwood, NYC & Co., Warner Bros., Carroll Shelby Licensing, Paramount Studios, Universal Studios, Eleanor Licensing LLC, The US Army, The Steve McQueen Foundation, Sony Pictures, and the Verizon IndyCar Series.